Dicamba resistant soybeans in rural McLean County on August 7. 2017. Tougher restrictions will be coming to the label for the weed killer dicamba, the U.S. Environmental Protection Agency announced Friday. Dicamba has caused widespread damage throughout the Midwest and South this season, damaging millions of acres of soybeans and cotton crops. The new restrictions for the 2018 growing season include the pesticide being named a restricted-use pesticide, which requires increased training for applicators, and the weed killer must be sprayed in lower wind speeds, according to a report from Reuters. 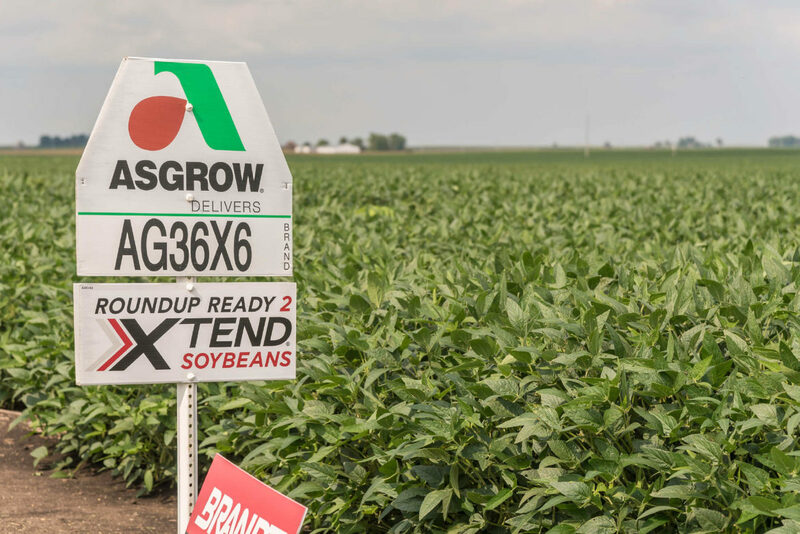 The use of dicamba, a traditional herbicide used in corn production, increased this year after the EPA approved new versions of the herbicide created by Monsanto and BASF touted as less prone to drift than previous versions. Monsanto also released a new strain of soybeans that would not be damaged or killed by dicamba. Dicamba is designed to kill “super weeds” that have developed a resistance to glyphosate – the active ingredient in the herbicide Roundup, the most commonly used pesticide. But the pesticide can cause damage to non-dicamba-resistant soybeans, which represent the majority of crops planted. Damage ranges from stunted growth to killing the crops. Dicamba has also been blamed for widespread damage to oak trees in Illinois, Iowa and Tennessee. You can read the full Reuters report online.